A week ahead of the release of its first episode “Roads “Square Enix just teased us with the launch trailer for Life is Strange 2. Check out the video above. 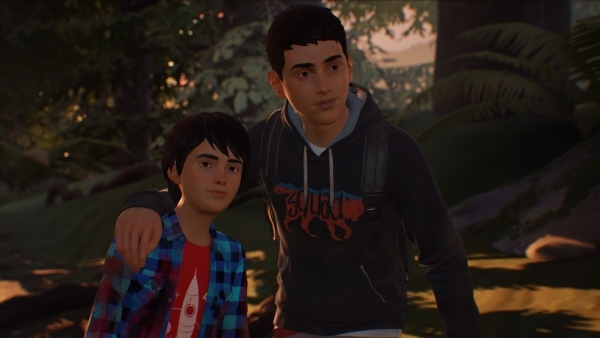 Life is Strange 2 tells the new story of Sean and Daniel Diaz, two brothers from suburban Seattle. They can steal to survive or take the high road and go without essential supplies for the trip. Either way, what are Sean’s actions teaching Daniel? Now totally responsible for his much younger brother, Sean begins to realize that his decisions will impact their lives forever. The first episode of Life is Strange 2 will roll out for PlayStation 4, Xbox One, and PC on September 27, 2018. The game will have a total of five episodes. Next articleInsomniac Games’ Spider-Man is the Fastest-Selling PS4 Exclusive Title to Date!